A new BitCoin library has been released for DesignLab over at the DesignLab library directory. Keep watching the directory for new libraries. Mine BitCoin’s with your Papilio! It’s not terribly fast, but it’s still fun to mine your own bitcoins. The Gameduino Library is now available for DesignLab! Check out the new library at the new DesignLab library directory. New libraries will be added every week! Gameduino is a really great Open Source FPGA project put together by James Bowman. It allows you to add graphics and audio to your projects using a nicely documented VGA adapter and Arduino libraries to program it. Take a look at the project page to learn more. UPDATE: DesignLab Libraries – FPGA circuits and sketches together! I’ve been hard at work on the DesignLab software and just wanted to share a video of how libraries will work in DesignLab. One of the major things we are doing with DesignLab is expanding on the Arduino IDE by coupling FPGA circuits to sketches. 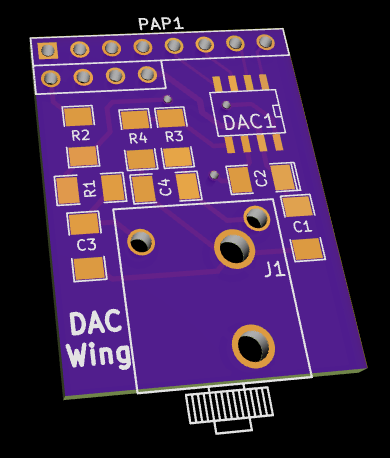 Every DesignLab project will be the combination of an FPGA circuit that you load to the Papilio DUO and a sketch that interacts with that circuit. I was recently speaking with the FPGA wizard, Max Maxfield, about DesignLab and he pointed out that it is the Arduino libraries and the ability to share those libraries that make the Arduino great. He gave the advice that DesignLab should make creating and sharing FPGA libraries as easy and convenient as possible. Even better, provide a central location where people can share not only libraries but any projects they make with DesignLab. I took his words of wisdom to heart and have the first cut of that functionality ready to go. Please take a look at this video to see how you can make your own libraries for DesignLab. If you would like to kick the tires and check it out for yourself then please download the beta release of DesignLab. Please keep in mind this is a work in progress and still needs more refinement and it is only working in Windows at the moment. Pedro Hernandez is a cofounder of Pcdemano.com a spanish website that makes reviews about the Arduino, raspberry pi, BananaPi and more. He recently decided to add FPGA’s to that list and chose the Papilio Pro as an FPGA development board to start with. Today he posted his first review for an FPGA board and a nice introduction to FPGA’s for all the Spanish speakers out there. Here is a link to the Papilio review page. Hamster’s HDMI Input Wing in Action! Check this out, this is really cool. In this video Hamster grabs HDMI input from a special Wing that he designed and then converts it to 8-bit VGA format so he can send it out of the 8-bit VGA port of the LogicStart MegaWing! Find the source code and more info at his Wiki page. Colin O’Flynn makes a cool video showing the ZAP IDE in action! Watch as he makes a custom PWM peripheral, adds it into the ZPUino Soft Processor, and writes C code to control it. Jump to 37:10 mark to see it working! Full details at http://programmablelogicinpractice.com in August 2014 Issue of Circuit Cellar. Code is located as a link on that blog post.